After working with dozens of leading hotels, I’ve found that there is one thing that most successful hospitality brands have in common. They all provide a top-notch customer experience. Even if the hotel isn’t a luxury hotel, they offer a five-star experience that guests will thoroughly enjoy and never forget. It’s this focus on customer experience that allows successful hotels to attract new guests and build lasting relationships with former guests who will never even think about staying at a competitor’s hotel. It should be no surprise that customer experience is a defining characteristic of successful hotels. Customer experience is what the hospitality industry is all about. As consumers, we are savvy shoppers with hundreds of choices. We look for and demand the best, especially when it comes to choosing where we will sleep, vacation, and take our families. When looking for a vacation or business stay, I look at what that property will offer me and how comfortable I will feel staying there. Hotels need to make a memorable impression for guests to first choose that property and then come back time and time again. When customers walk into a top hotel and resort, they expect to find things designed to improve their experience. The property needs to be inviting and immaculate and give you that personalized service you expect at a luxury resort. As they walk in the hotel lobby, guests need to feel a wow factor, while also feeling welcomed and comfortable. Easy check-in and a warm welcome are key. The look and feel of the hotel must connect with guests from the moment the valet opens your car door to the reception staff smiling while offering you a bottle of water. It must continue on as you find specialty pillows and a personalized note in your room, and perhaps a phone call to see if you have everything you need. Oh, and a nice view can help! Nothing deflates the mood of having a gorgeous room faster than looking out the window to see a dirty garage roof. While some aspects of customer experience are timeless, customer expectations change over time. Brands need to keep up with changing customer desires and demands if they want to stay relevant in today’s highly competitive hospitality industry. Ten years ago, customer experience was about comfort and cleanliness. Guests were satisfied with basic and clean creature comforts. But, these days you need to make an impression! Customers don’t want cookie-cutter cleanliness and comfort; they want character, technology, and affordability. I believe the biggest difference is with millennials. Young adults are all about traveling the world. They want “inexpensive but cute.” I have three teenage daughters and when we look for a vacation spot, it’s all about the “pretty, homey feel.” The property needs to be edgy, but cozy. To meet those standards, the hotel needs to be modern and fresh. It needs digital signage and accessible online information. Instead of being super lavish, the lobby should be modern with warm details like coffee and wine bars, small gathering spaces with pillows and comfy couches, and of course, complimentary WiFi. Although hotels primarily cater to families and older generations (certainly these demographic groups are still an important focus for hotel brands with loyal followers), hotels should gather more ideas from millennials who are quickly stealing a major portion of marketers’ attention with their desire to see the world. 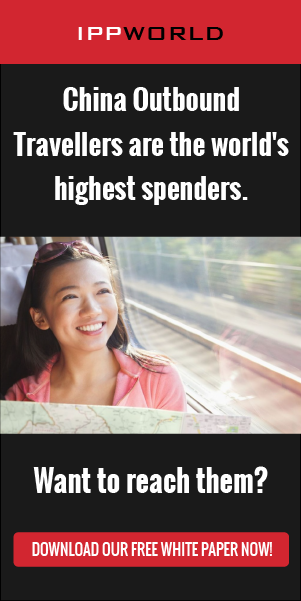 Social media is another key influencer in the millennial generation’s unique interest in traveling in the early stages of adulthood. Brands must have a strong social presence that exists both online and in their hotels through the use of on-site screens with social media feeds and streams of user-generated content. In fact, digital signage throughout the property is also appealing to young adults who want to gather quick information about nearby dining hot spots, happy hours, specialty activities, and events throughout the property and city. Hotels that get stuck in the old way of designing customer experiences will likely get left behind. Many hotels assume that a clean and comfortable room will do. Instead they need to think beyond the basics, get to know their customers better, and see what it will take to really wow them. I encourage hotels that haven’t changed much in the past decade to survey their customers. Find out what they want to see so you can improve your customer experience to better appeal to them. Would guests like late check-out? Is the view important? Do they need a wake-up call? Lately, I have even seen the higher-tier hotels offer a concert series that will take guests from the comfort of their stay to follow their favorite band wherever they play, from city to city. In the hospitality industry, long-term customer satisfaction and loyalty is everything. It only takes one bad experience for customers to defect to competitors. So think outside-the-box to provide guests with an elevated customer experience they can’t find anywhere else. A brand that gets it right when it comes to customer experience is Starwood and Marriott Resorts. I am a loyal SPG rewards member, and one specific stay with them stands out in my mind. Five years ago, I traveled with my family to Los Angeles for my niece’s wedding and we stayed at the W Hollywood. They not only treated me like royalty, but the manager also came out to greet my husband and me by name. They upgraded us to one of the largest suites I have ever seen overlooking the Hollywood sign and gorgeous mountain views. And, they offered us a discount for a second room for our daughters to stay in. We still tell friends about that experience. It’s a perfect example of how paying extra attention to customer experience can get guests to rave about your hotel to family and friends, create memories that stick with them for years to come, and encourage visitors to return to your property again and again.